Thor's comment: "Of all my designs this is probably the one I am best known for. 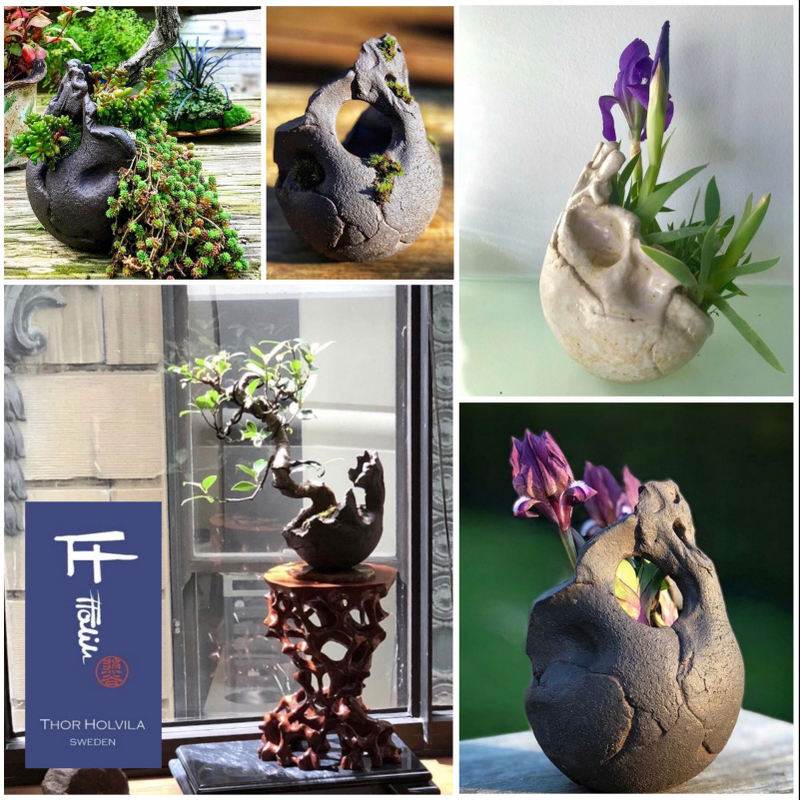 It was featured in the Japanese bonsai magazine "Shunju" and that led to a two page article in the well respected Japanese magazine "Bonsai World", which then led to an invitation from legendary bonsai potter Hidemi "Shuho" Kataoka to come and work with him in Tokoname Japan. For me its the symbol of rebirth. Without death and decay, no life and no growth. (the word Skull derives from the Scandinavian word Skål!, which means Cheers . 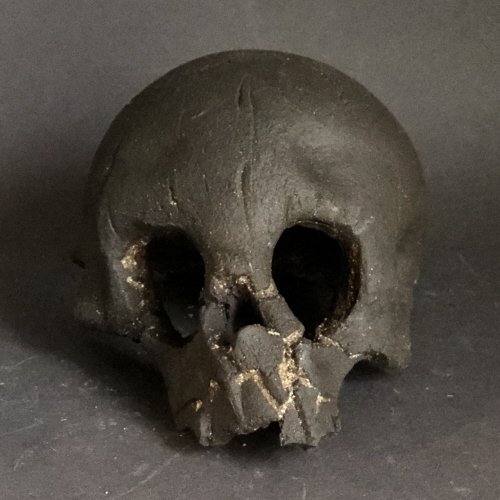 Since we used to drink from a human skull it became synonymous.) "
width: 90 mm / 3.6"